These are some of the finest precision dado heads available. Put them to work on wood, prefinished materials, Formica® and other related products. Fits standard 5/8" arbors and has a 1/8" kerf blade with wobble settings from 3/16" - 13/16". 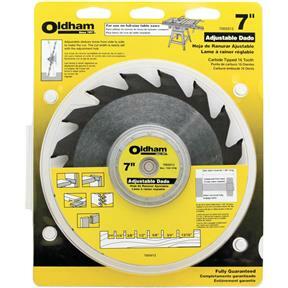 Not for use with arbors shorter than 1-3/8". Bought this to replace a wobble dado that I gave to my son. It's as good as the original. 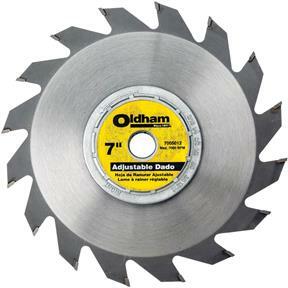 actually I am not happy with my purchase of the wobble dado blade. It will not fit the arbor on my saw, it is too thick. If I had known it would only work on saws with a long arbor I would not have purchased it. Used it on 100 year old black walnut. Much easier for picture frames than a router or shaper.